Lord Siva manifests as the mighty mountain at Thiruvannamalai. While Kailash is considered as the abode of Lord Siva, the Tiruvannamalai is considered as Siva Himself. It is believed that liberation is attained by taking birth at Tiruvarur, by worshipping at Chidambaram or dying at Banaras but the mere thought (Smarana) of Arunachala is enough to liberate the devotee from the cycle of life and death. Lord Arunachala, full of mercy, extends his abounding grace to all devotees who think of Him or recite His name (Nama). Among the many saints who attained spiritual fulfilment from here two names stand out; Arunagirinathar who was born here and Thiruchuzhi Nathar who came over here. Thiruchuzhi-born Venkataraman was residing at his uncle’s house at Madurai. One day, while sitting alone, suddenly, he was gripped by a fear of death. He then started ruminating about death. “What death means?” He pondered over the question seriously. He then lied down, held his breath and imagined himself as dead. He even visualized his body being taken to the cremation ground. “Now, with the death of the body, am I dead?” Am I the body? The deep contemplation brought him the realization that he is not the body or mind and he is the Self, the indestructible conscious entity, transcending the body. He realized that he did not have any fear about death now because he was convinced that death happens only to the body but he, conscious of his Self, lives on. After the experience with death, the external world lost all its relevance to Venkataraman. Earlier, when a relative said he had just returned after a visit to Arunachala, the word “Arunachala’ had made a profound impact on Venkataraman; the word that was ringing in his ears. Now, when got a clear vision, he felt Lord Arunachala was beckoning him. Having heard the call, his mind could not rest in anything except Arunachala. He discarded all that he was associated with; his mother, his brother, his relatives, his friends, his school, his town, even his identity as Venkataraman and proceeded to Turuvannamalai. On reaching the temple of Arunachala, he went straight inside the sanctum sanctorum of Lord Arunachala and embraced the Lord. It happened on the 1st first September 1896. He explained his experience later in his Arunachala Ashtagam thus: “As I saw Lord Arunachala, my mind turned inward. Elated, I asked myself; “whom I saw?” I realized that I saw my own ‘Self’, my Atma. He emerged from the temple as a realized saint, remained in Samadhi, ever conscious of his Self and oblivious of the fact that something like body ever existed in him. He came to be known as Bhagavan Sri Ramana Maharshi. There was another devotee blessed to be born at Tiruvannamalai, few centuries before Maharshi’s arrival. He was Arunagirinathar who became conscious of his supreme identity, distinctly different from body and mind. He was disgusted with the body that was making continuous demands, decided to dispense with it, went straight to the top of the tower of Arunachala temple and fell from there. Amazingly, he did not fall to the ground. Two strong arms caught him; the arms of Muruga. “You are not born to fall. You are born to elevate others”, said the Lord. “Sing songs about me”, the Lord commanded and initiated him to sainthood. Arunagirinathar rendered many songs which exhorted the devotees to come out of the realm of body and mind to be able to realize Muruga shining as the Self within. A devotee asked Bhagavan Sri Ramana Maharshi: “Would you kindly guide me how will I attain a state where my body will be free from any kind of disease?” Prompt came the reply from Bhagavan: “The body itself is a disease.” Nochur Acharya explained this further. When there is some disorder or illness in the body, we call it a disease. When afflicted by a disease, a person cannot pay attention to anything else. Similarly, a person who identifies himself with the body cannot pay attention to anything other than body and therefore the body becomes the disease. Another devotee went into a cave near Arunachala Hill and done intense tapas without taking normal food. He gradually reduced the intake till at last he subsisted with barely a mouthful of food. After completing his penance and tapas, he went to Maharshi and said, “Bhagavan, I have found that I could keep the body alive with only a mouthful of feeding a day.” Bhagavan smiled and remarked: “You can be alive even without the body. Bodylessness is your real nature. The Self is bodylessness (aśarīram. )” The disciple became speechless by the power of those words. While Bhagavan Sri Ramana Maharshi wanted us to come out of the wrong notion; “I am the body”, we find Saint Arunagirinathar too expressing the same view in most of his songs. In his song rendered at Thiruvanaikaval, he says: “Oh Muruga, give me the realization that I am a distinct and divine entity, separate from my body and the world around me” (Jnana achara siraddai yagi, yan vere en udal veru, jaggathi yavum veraka……Anithamana…Thiruvanaikaval song). “Being ignorant of the fact that this body, full of stains, the source of all blemishes, would not survive for ever, I have been trying to boost it up by methods like breathe control, yogic exercise, Sidha practices etc.” said Arunagirinathar in another song (karai padum udambi raadhenak). Yet, in another song, Arunagirinathar says: “I remained under the illusion that this body which is inert and perishable would last forever. Oh Lord, have pity on this ignorant one, who wanders like a dog, elevate him and accord him your graceful Jnana”. (Vanjaka kapata moodi udal vinaithaanE…. Surudhimudi). In the song: “Tholal Suvar Vaithu”, Arunagiri says that this body is a house made of flesh and veins, skin and bones and solicits the grace of Muruga so that he can free himself from the domain of body and reach the Lotus Feet of Muruga. There are many such songs where Arunagirinathar condemns the body and asks the devotees to transcend from the illusion of “I am the body”. The individual always keeps doing something. He or she does karmas at various levels like at office, home, society and nation. Even when free from all such obligations, the individual keeps turning his attention to different external activities like art, culture literature or even devotion. But never for a moment he remains quiet, without any bodily or mental activity and never for a moment he attempts to distance himself from the world around him. According to Arunagirinathar, when Lord Muruga appeared before him and asked him to remain quiet (‘Summa Iru’), he could not comprehend the essence of those prophetic words for some time. (Summa iru sol ara enralume am maa porul onrum arinthilane…Kandar Anubuti 12). Sri Arunagirinathar says he knows no other means to reach God except through the means of “Summa Iru”; the path of silence, solitude and stillness. According to him, observing silence, looking inward and practicing ‘Siva Yoga’ paves the way for Self- realization. Bhagavan Sri Ramana Maharshi too remained most of the time in ‘Summa Iru’ state, in the true sense of the term. It means remaining in the world and yet distancing from it, without responding to any external situations. Many devotees have attained Jnanā by hearing the advice, ‘Summa Iru’ from Bhagavan. In his Aksharamana Malai (36), Bhagavan says: “Oh! Arunachala, you wanted to convey me the message of ‘Summa Iru”, the state of being quiet and silent, without having the need to use any word. Is it to convey this message that you remained quiet, without uttering any word?” (Sollathu soli nee sollara nillenru summa irunthai Arunachala). Again, in the next verse 38, he answers: “Oh Arunachala, you have shown your prowess, bestowed your grace and removed my ignorance. Having done all these wonders, you remained quiet and still, as if you are not the cause for it. (Souriyam kattinai azhakatrathu enre Saliyathu irunthai Arunachala 38). 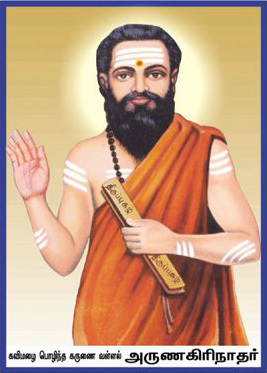 Bhagavan Sri Ramana Maharshi was a Jnani, a realized saint and Jivan Mukta. He was considered as the manifestation of Guru Sri Dhakshinamurthy. According to him, the true Jnana is to know one’s own Self. In his reply to the query of Sri Sivaprakasam Pillai, Bhagavan said: “The real ‘I’ or true Self is not the body nor the senses, nor the mind and nor the intellect. It is Sat Chit Ananda (reality, consciousness and bliss) where there is not even the slightest trace of ‘I’ thought. When the ‘I’ thought is dissolved, realization of Self is experienced. Self, which shines as eternal reality, is knowledge absolute. Similarly, we find traces of Vedanta in Arunagirinathar’s songs. In one of his songs, Sri Arunagirinathar says: “Holding on the life energy (Prana) that vibrates as rose petals at the centre (Mooladhara), let me ignite the sparks of fire from its source, imbibe the nectar that flows from it and remain still without movement, beyond mind, body and intellect and gradually elevate myself to the bliss of Samadhi state; the state where I will overcome death. Oh Lord, reach me to such a state where I remain free from words or speech, the state where there is no concept of ‘you’ or ‘me’ and all differences subside and the one reality, the Self, alone exists. Oh Lord, bless me to reach such a state where I become conscious of my supreme Self. (Amala vayu odAtha kamala nabhi mel mula). In Kandhar Anubhuti, which is considered as the quaint-essence of all his works, Arunagirinathar describes his experience of realization. “Since you have swallowed the ‘I’ in me, I have become one with you. (Yanakiya ennai vizhungi….Kandhar Anubhuti). Though Bhagavan appeared over three centuries after Arunagirinathar, we find an amazing similarity in their doctrines. It would appear that Bhagavan Sri Ramana Mahartshi and Sri Arunagirinathar treaded two different paths; the former the path of knowledge (Jnana) and the latter the path of devotion (bhakti), but the difference is only peripheral and not real. The difference is only in their approach and not in content. Thiruchuzhi Nathar kept emphasizing the importance of Atma Jnana in his talks, in his works like “Ullathu Narpathu” and “Upadesa Saram” and even in his silence. At the same time, he also underlined the importance of devotion. His composition, ‘Akshara Mana Malai” is an outstanding work of devotion. “Akshara Mana Malai” is the garland of devotion he offered to Arunachala. “Oh Arunachala”, he says in Akshara Mana Malai, “since I have already surrendered before you, come, put the dazzling ornaments of your grace on me and admire my beauty.” (“Nagaikkidam ilainin nadiya enai Arul Nagaiyittu parnee Arunachala”..A.M.Malai 53). Throughout Akshara Mana Malai, we find Bhagavan seeking the grace of Arunachala. Arunagirinathar too offered a garland called ‘Thiruppugazh’ and offered it to Muruga. “For long I have been rendering your songs with devotion”, he said in one of his songs. (Bhathiyal yanunai pala kalum patriye ma Thiruppugazh padi). “My only aim is to surrender at your Lotus Feet”, he said in another song. (‘Ninathu thiruvati sathimayirkodi’). Though it was a beautiful garland weaved with fragrant flowers of devotion, the inner thread which bound all the flowers was Vedanta. In fact, the path of knowledge and the path of devotion are not two separate paths. They are one and the same. They are complimentary to each other. While Vichara Marga is the path of knowledge (jnana), surrender is the path of devotion (bhakti). Though they appear different, they converge at one end, Self realization. We find a beautiful blend of devotion and Jnana both in the songs of Arunagirinathar and the works of Thiruchuzhinathar. In the midst of the flow of nectar called devotion, we find sparks of Vedanta too radiating all over. According to Nochur Acharya, by surrendering unconditionally to the higher power, a devotee attains the same end which a Jnani attains by means of Vichara Marga. 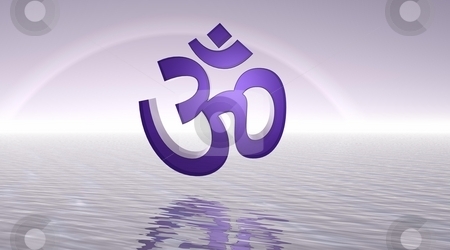 In devotion (Bhakti Yoga), surrender paves the way for enlightenment. In Jnana Yoga, enlightenment comes first and then surrender takes place. He who surrenders would ultimately know and he who knows would ultimately surrender. In case of devotion, the knowledge comes after surrender and in case of Jnana Marga, knowledge comes before surrender. Thus we find that Jnana Marga and the Bhakti Marga are not divergent paths but one and the same. Thiruchuzhi Nathar and Arunagirinathar have taken us through two seemingly different paths to reach us to the same destination: “Self Realization”.